Among the hundreds of trees on campus, the Campana Elm is one that holds both scientific and historic significance. 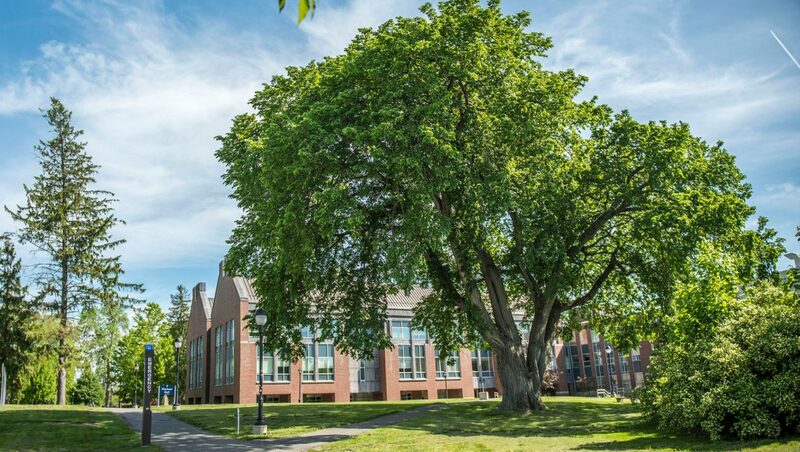 Named after the late, internationally renowned UMaine professor Richard Campana and dedicated in 2000, this American elm was used for pioneering research by Campana as he worked to save the species from the widespread devastation of Dutch elm disease. Because of the importance of the tree, plans for renovations to Hitchner Hall needed to accommodate the tree and its root system. The tree is old — perhaps even older than the university itself. Because of its age and significance, the Campana Elm continues to be monitored regularly.